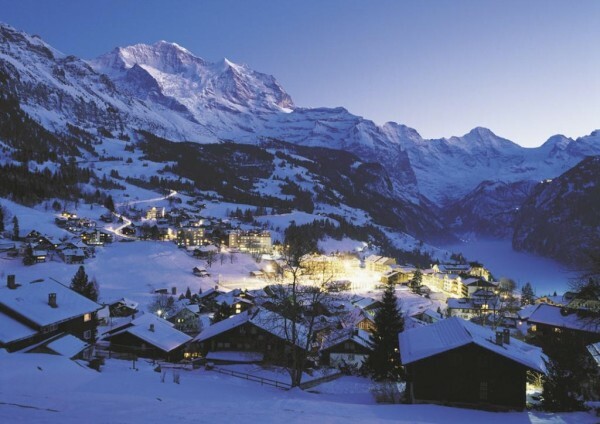 Winter Paradise Under The Famous Eiger North-Face! 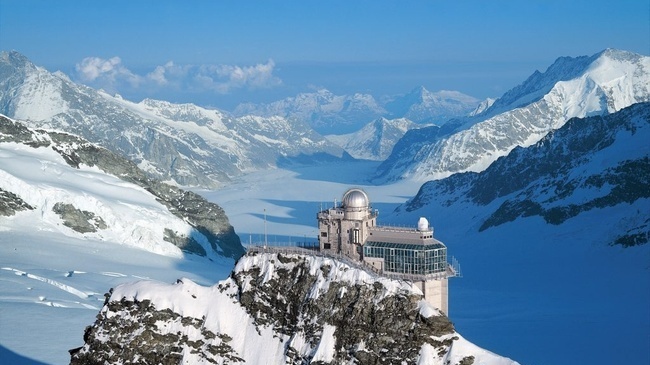 The Jungfrau region is also called "The Roof Of Europe", with the 3 peaks of the Monch, the Jungfrau and the famous Eiger, all above 4000 mt, to guarantee good snow conditions throughout the entire ski season! You will be able to ski across 3 different ski areas, which together offer a total of 213 km of ski runs and plenty of possibilities for off-piste! All 3 regions are connected to each other and to our hotel via an efficient train service. Not only, the trains feature panoramic vagons, and give you to the most amazing views on the mountains at all times! 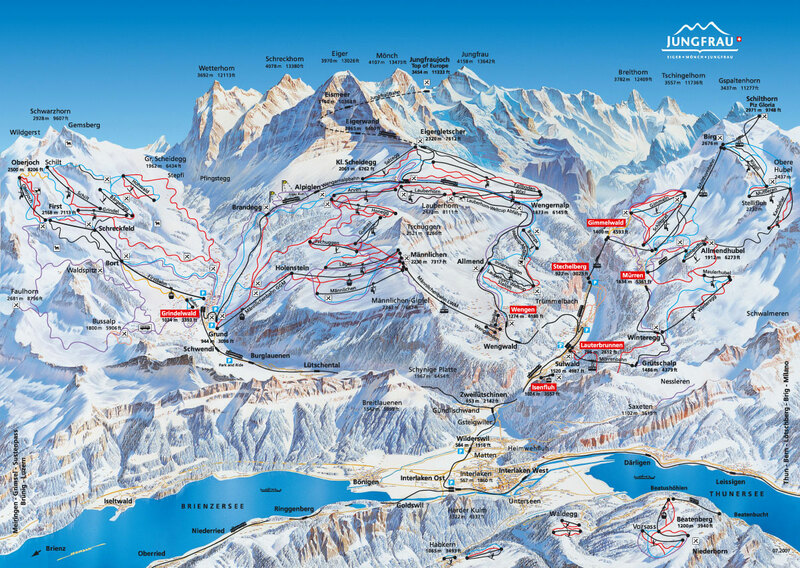 The gondola to the central, largest ski area of KleineScheidegg-Männlichen is just 10 minutes by foot from our hotel. The area of Grindelwald-First can be reached taking the first gondola up... and then with a good hour of down-hill skiing...! Finally, 20 min from Wengen by train is the the Mürren-Schilthorn ski area, which features an amazing panoramic restaurant at 3000 mt, where the James Bond movie "On Her Majesty's Secret Service", was set. 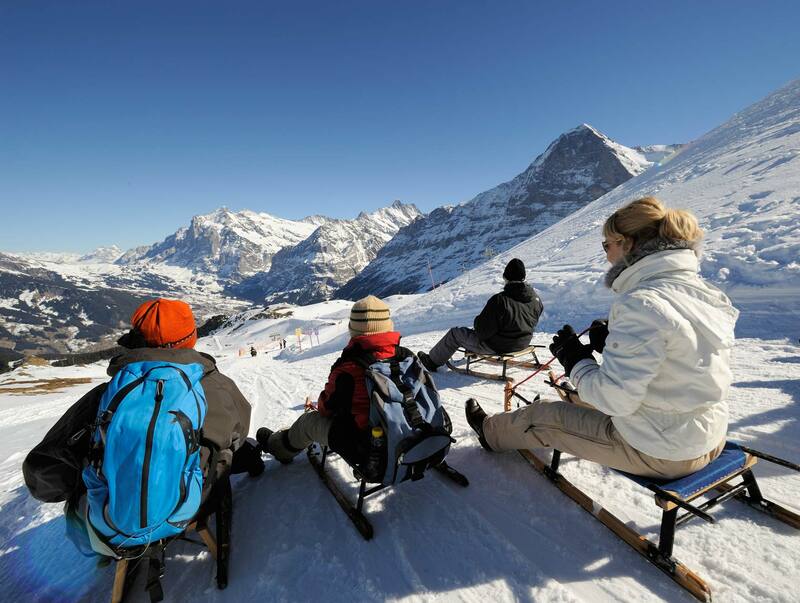 Last but not least, Wengen offers a large number of sledging pistes! Do you think sledginig is something for kids..? Then you never tried it in Switzerland, they're professionals over there! You will learn that sledging is not for kids at all: it's fast, and a lot of fun! You want even more fun & adrenaline? Well, then join our sledge run at dawn: take your front-light with you and jump on the last train up to Kleine Sheidegg... we will sledge down the 8km of track or 500mt descent back to the hotel and arrive with our sledge in front of the hotel... just on time for the cheese foundue ;) How can you miss that..!?!? We are staying at the hotel Edelweiss, about 5 min walking distance from the train station of Wengen (1300 mt) and from the lifts. Wengen is a car-free village, which gives it a tranquill, very special atmosphere. On our arrival on Thursday night, the bus will drop us in Lauterbrunnen, and from there we will climb-up the remaining 400 mt on board a rack railway, all the way up to Wengen. At the hotel you will find free Wi-Fi, a wellness area with sauna, and a table tennis. It is our 4th year at the Edelweiss hotel and weknow we can always count on the kindness of the staff there!